Apple users will encounter a variety of bugs, glitches or errors in the course of using iPhone. Nevertheless, problems that may seem troubling are actually not that difficult to deal with. 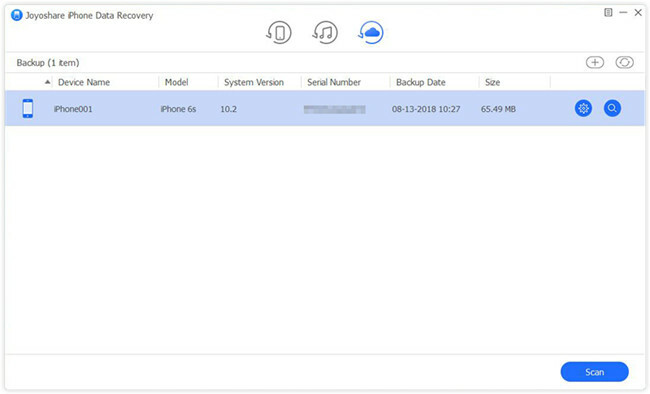 Only going to restore iPhone to factory settings, no further worries will come to bother you, which can quickly fix iPhone stuck on Apple logo, speed up slow iPhone/iPad after iOS 12 update, etc. Though factory reset is practical, all data and settings will be erased away from your iPhone, giving you no possibility to directly recover from device. But if your situation is similar to Anna, you can recover photos from iPhone after factory reset without hassle. Let’s get started. Immediately kill your thought of taking iPhone photos straigtly from iTunes or iCloud backup, which will put you at risk of losing other current data. 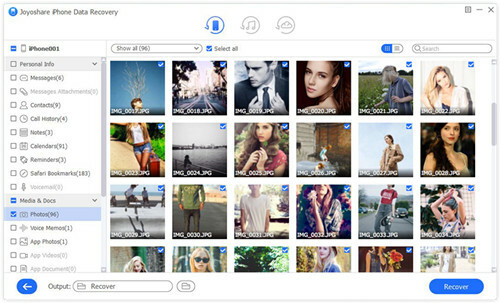 If you feel like to get your photos back from these backup files in a professional manner, use Joyoshare iPhone Data Recovery as a medium to protect data in the process of recovery. This one-stop iPhone data recovery tool is proved to restore up to 20+ types of iOS files with high success rate, which includes photos, videos, call history, contacts, calendars, WhatsApp/Kik/Viber messages, notes, reminders, Safari bookmarks, etc. It shows powerful compatibility to any models of iOS devices, from the latest iPhone XS/XS Max/XR to the oldest iPhone 4. Excellently, it has ability to convert HEIC to JPG without sparing any effort. The iPhone data synced and backed up to iTunes automatically or manually can be restored under the help of Joyoshare iPhone Data Recovery, during which files will not in danger of being overwritten or lost. You can follow the steps here to make it. Step 1 Choose "Recover from iTunes"
Launch Joyoshare iPhone Data Recovery and connect your iPhone with computer. Go to the top menu bar to switch mode to "Recover from iTunes". 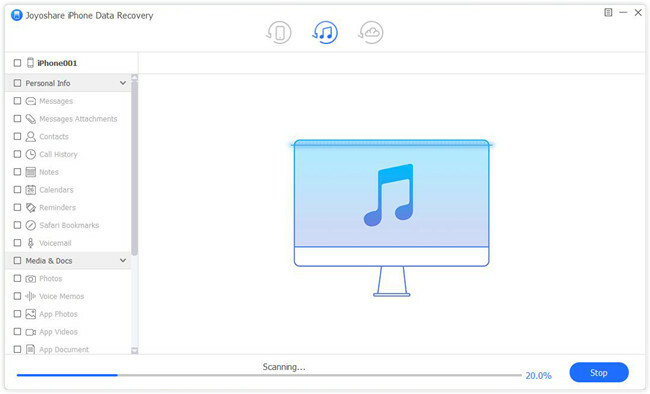 Soon after, all your iTunes backup files will be detected and displayed in a list. Pick up the most relevant iTunes backup and hit the "gear" icon behind it to select data types. You can check all files by default or just choose some necessary items, like "Photos", "App Photos", etc. Simply tap on the "Scan" button at the right bottom. Wait for a while until the scan process comes to end. Joyoshare will try its best to bring all recoverable contents, including the deleted and the existing. You can preview the classified categories one by one or go direct to whatever you need. Having marked desired files, continue to click "Recover" button to export them on your computer. Without big differences, your iCloud backups can come in handy to fetch iPhone photos after factory reset as long as you have turned on "iCloud Backup" option on iPhone "Settings". 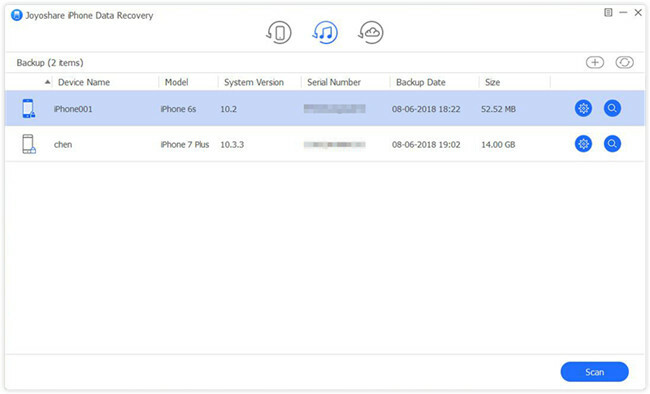 This time, you should carry out iPhone photo recovery assignment under "Recover from iCloud" recovery mode. 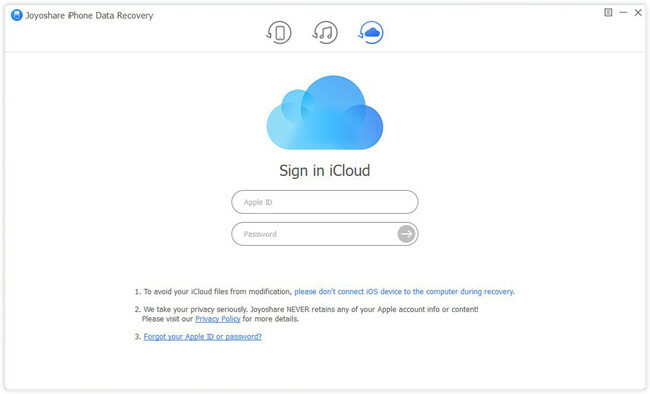 Then you will be required to log in iCloud account with Apple ID and passcode. Take it easy and get it done; no records will be kept for the whole process. After finish signing in iCloud account, all iCloud backups, the newest and the oldest, will be shown orderly for you to choose. 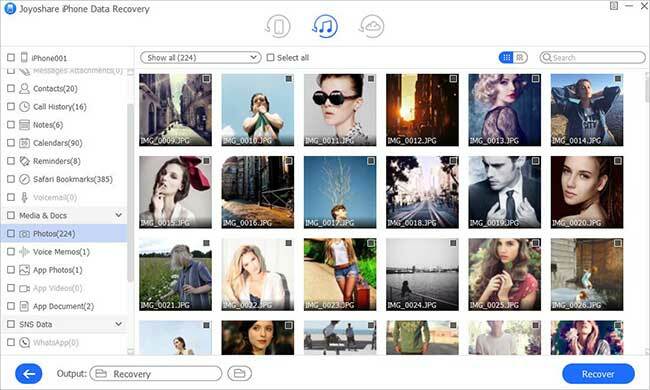 Download the one that likely contains iPhone photos. Follow that, confirm needed data types and set about extracting files from iCloud backup with a simple "Scan" button. Once Joyoshare iPhone Data Recovery stops scanning iCloud backup, you can see all found results. To get better view, you can filter out useless data and only show the deleted. Or search designated files in the way you like. 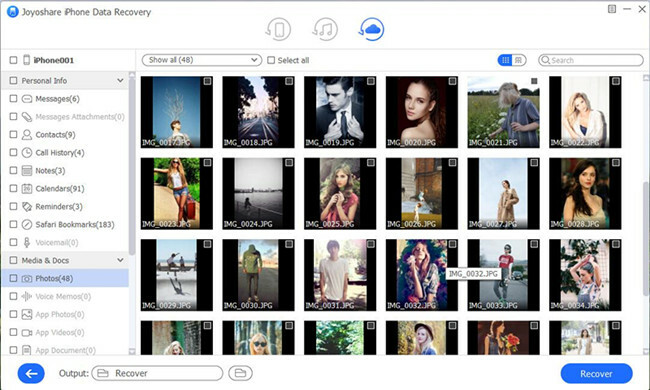 As long as you determine what photos you'd like to restore, you can press the "Recover" button readily.